Good news – Steem is 371 percent up! Tesla fell from its all-time high of 389.61 USD to 343.48 USD by now, down 11.84 percent – that’s the truth. But who would say that, just a day like this, as Tesla is up 5.6 percent today? Tesla is up approximately ten percent in the last 12 months, from 313 to 343,48. I can’t understand why the cryptocurrencies are measured ultimately by it’s relation to all-time highs. As if all wanted to paint the worst picture possible. But Steem is 371 percent up from the lows of 7,2172 cents of USD on March 12, 2017, to 34 cents today afternoon. That is 148 percent per annum (in 624 days). Why have I chosen the all-time low, can you ask. But why have others chosen all-time high, am I asking. I suppose, 8,40 USD Steem was unrealistic and 0,0722 USD was also unreal, maybe we should use some average. Or 1Y, 6M, 3Y etc, as by other investments. I know there is a lot of other bad news, a shrinking number of active users, authors, curators, whales powering down etc. But, weren’t we prepared? We all knew cryptos are very volatile, hectic price movements are normal in this “industry”. The oldest ones, Bitcoin’s history is full of big falls and incredible booms. Small bulls jump lower, huge bulls jump higher. But they can fall more after, too. After the big bubble of the end of 2017-beginning of 2018, the correction also resulted in a very big one. But cryptos can’t declare bankrupt, must never close business. The story never ends, I’m sure there will be a new bull run again. I don’t know when, and at which prices, but I’m sure of that. Black Friday, Cyber Monday. I can’t understand why people are attacking the shops and malls for 10-20-30 percent of price discounts. But if some shares, bonds, cryptos or other investments are 20-30 percent cheaper, they are panicking and are selling on multi-year lows. The typical behavior of small investors is, selling near lows and buying near highs. The average private investor is mostly loosing. 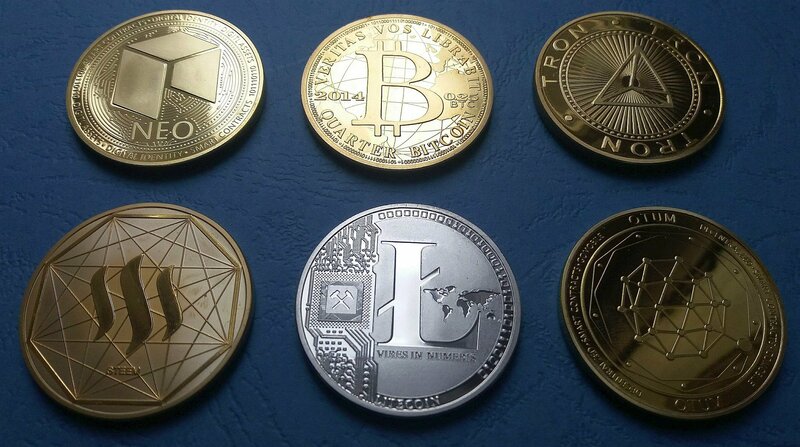 If you ever wanted to buy cryptos, I think, now the time is near ideal. Much better now than in bubbles like last December, or January. Or, at least, these days are much better than every other in the last 14-15 months, approximately. Of course, I told you... no, not really, I didn’t tell you bitcoin will fall further, I only wrote it was possible, and better don’t put all your money in cryptos. You have to diversify your portfolio. If you did so, now you have reserves, “emergency fund”, and you can decide if you buy more crypto, or not. So, I suggest, don’t invest all your money in the same crypto, and make a plan B just for the case a long-long crypto-winter was coming. And here I meant that the “mass adoption” of cryptocurrencies can take much longer than many crypto-fans are expecting. Is there any known method to calculate the (or a) fundamental value of Steem? What are the differences between this competitors? Are they really competitors? When will Smart Media Tokens be ready, what importance will they have and how will they affect Steem price and Steem economy? I am not a financial advisor and this content in this article is not a financial or investment advice. It is for informative purposes only, or simply to make you think, entertain, increase testosterone and adrenaline level. Consult your advisers before making any decision. You can message me in Discord. The point is how many people bought it at alltime high, only a few probably bought it at 7 cents, so we are rekt. "Is there any known method to calculate the (or a) fundamental value of Steem?" No not yet but the fundamental value could be considered all active users + the amount of transactions performed on the network. "Why is Steem underperforming other cryprocurrencies? (If it does; it’s a question of comparison methods and time frames again.)" The Steem reward pool creates a 8.5% inflation per year and thats creates constant sell pressure on the price of Steem. If somebody wants to calculate his investment on Steem you also have to consider all the rewards that you have gained in 12 months curation, author and Bot rewards. There is no way to handle competitors because its a decentralized network. Every network has its own advantages and disadvantages and are mostly not comparable to each other. Thats why its more important to grow the community and bring in good developers who creates the Apps. so the only measurement is again the amount of active users and transactions performed on the network. SMTs are one of the major milestones that will be implemented in the core Steem code. @ned from Steemit.inc just announced that he had to lay off 70% of his staff because of funding issues. Thats why SMT release will be delayed...hopefully we get it stil in 2019. But still projects like Utopian.io and Steemmonsters already show that you can achieve a lot without SMT. The markets are so fucked right now. GG. Bitcoin looks anemic. I think it's difficult to earn, and so it isn't attracting more people. You got a 64.74% upvote from @emperorofnaps courtesy of @deathcross! Interesting. I'm deeply disappointed by projects like Zilliqa. Steem is a niche. As long as the developers don't abandon it, we can stay put and contribute. Next two years will be crucial for the 100 you mentioned above. Quite a few will collapse from it. I hope SMTs will keep it going for us. Why are you disappointed "by projects like Zilliqa"? Which other projects? I'm disheartened by the slow progress on Smart Media Tokens. Anyway, it's only a few more weeks and we'll get the testnet. Apart from Zilliqa, I'm disappointed with Ethos. These projects have hyped too much with very little to deliver till date. Sadly, I have no answers for your questions. But it made me thinking. Sometime at the beginning of this year, when bitcoin was worth 20 thousand dollars, I watched a video where the simple answer to the question "Why does bitcoin cost 20 thousand dollars?" was "Because there are people willing to pay 20 thousand dollars for a single bitcoin." Of course, the matter of why are they willing to do so and what value they expect to gain from it is more complicated. On the other hand, crypto mining costs a lot of energy, which is not only expensive, but also ecologically inefficient. Could this translate into the fundamental value (cost) of the coin? I think miners influence the price of bitcoin but they are representing only one factor, on the suppl side. Normally, if bitcoin price falls miners shut down operations, but remaining miners earn more. If price goes up, more miners are mining and their individual rewards decrease. But now, authorities in different countries elevated electricity prices and miners had to sell more bitcoins to cover expenses. That can have caused an increased sell-of by the miners. But the demand side is week, also, and that should have other reasons. High electricity consumption protects the bitcoin system from centralization. If you need several atomic plants to take over the system, it can be really secure and free from counterfeits. I have no idea what's going on... steem have good traffic and still steem price going down. Only expert can answers all about it. Good traffic? Do you mean transaction count? Tens of thousands of "0.00015 $"? Micro-micro-transactions? Yea I mean transactions not just small there big transactions also I think. I don't know about counts. well its about time bitcoin hit -70% now. most of the altcoin already in -80% to -90%. its a good time to reintroduce new investor in to the market. You got a 54.18% upvote from @minnowvotes courtesy of @deathcross! You got a 48.00% upvote from @upmewhale courtesy of @deathcross! Site for those who want to make money by doing bitcoin mining. Seems to be a fraud, miners are shutting down operations and declaring bankruptcy, how do you imagine browser mining could be profitable? I remember those .17 days lol thanks for putting this together! The market is having its volatility on its finest! the market fling it self even HK stock market has no match. Steem is where it is at. Glad the value is going up. Would work well for most of us.